We all have our own perspective or view on life, your perspective is completely unique to you, no one else sees things exactly the way you do. In the art world too, perspective is all about you and where you are in relation to everything else. Because we spend the majority of our conscious moments activating our left hemisphere, (we are always unconsciously activating our right) the thought of drawing the above is terrifying, it’s got shiny bits, wiggly bits, a whole lot of visual things we can’t process! We can draw it by understanding the principles of perspective with our left hemisphere and seeing and recording the abstract shapes with our right – easy! (We do use both hemispheres when we draw – once the left understands the process and can see the point in it all, it comes on board as our most supportive helper). 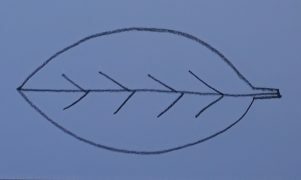 Above is a stylised drawing of the real leaf, showing how we can see the leaf as an abstract shape and record the outline moment by moment. I can start at the stalk end and allow the pencil to record the journey of my eye, as it moves round the outline, up the hills and down into the dips and back to the stalk. I can notice the straight bits and the shifts in direction in the same way I would if I was driving along the edge of the leaf in a tiny car. Drawing is very like driving! Yikes, what about this one! The perspective changed. The leaf moved; it turned around, so now you can see some of the underside of the leaf and some of the top. 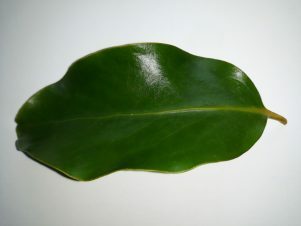 The whole thing is skinnier – it’s the same leaf, but it’s now a leaf ‘in perspective’ i.e. the front part of it is closer to you than the back part. This leaf is ‘foreshortened.’ A nightmare for our left until it understands the principles of perspective and then it feels downright empowered! To draw the above leaf, all we have to do is what we did with the flat leaf, except that now, instead of one flat shape, there are two. 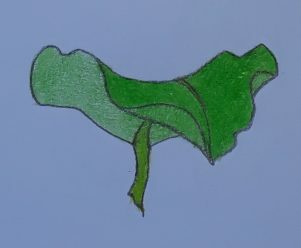 A light one representing the underside of the leaf and a darker one representing the upper side. Drawing is an illusion – we are creating the impression of three dimensions on a two dimensional surface. Oh no, what about this – it’s changed again, what a crazy looking leaf that is! It’s the same leaf but now it’s turned towards you. 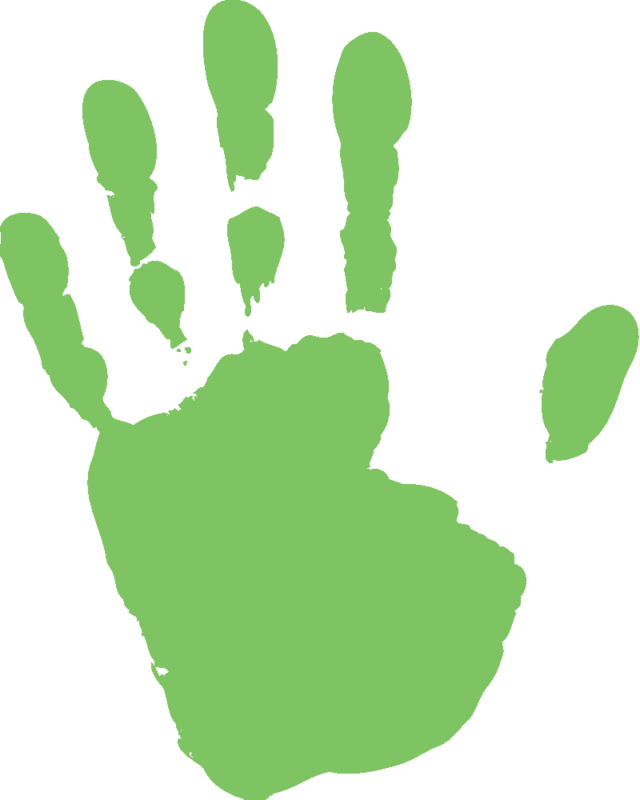 You can see six little abstract shapes, four light green ones (under side), one darker green one (upper side) and a yellow green one (stalk). You can draw each one of those foreshortened abstract shapes, just by following the contours. You can create the illusion of depth; of perspective. If you put in shading or ‘tone’ it begins to look more real, but essentially it’s just a bunch of abstract shapes in relation to one another. 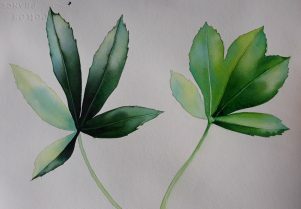 I’m working on these leaves for my online watercolour course. They look more realistic than my above drawings because I’m adding tone and colour.